Grace, sufficiency, and abundance for every good work― that is an exciting promise. As we become aligned with Kingdom agendas and realities, the resources of Heaven become available to us. This is His promise, and we should expect this reality in our lives. His spoken Word is one of those resources. He speaks to us about the future, and using this information we can navigate toward our Kingdom promises. This can happen with our families, our businesses, careers, ministries, or wherever the Lord is leading us to engage as salt and light. In my book, Handbook of Prophetic Trading, I demonstrate how the prophetic voice is used to guide market and trading strategies. I know that can sound uncomfortable. Would the Lord really use the “markets” to reveal Himself? Isn’t that just a dark place to be avoided? Why should we? To answer, we have the grace and power of the Spirit in our lives to make a difference. We are trained to overcome, to “occupy until He comes.” That means we occupy even the dark places, which really describes our whole environment: social, political, and economic. So, it really isn’t that strange for the Lord to release power to bring to Himself glory in a place that is filled with worldly agendas. That is His way. I’ve written the Handbook of Prophetic Trading because the Lord is going to use prophetic trading as a training ground for applying prophetic strategy. By prophetic strategy, I mean the use of prophetic counsel to exercise our authority in the earth. I believe this school can prepare us to use prophetic strategy in a wide array of fields. The counsel of heaven will give us what we need to manifest the Kingdom as His return approaches. We will need to be able to navigate some rough waters ahead. Because dynamic prophetic strategy is the learning context, this Handbook is not about long-term investing. I’m making prophetic decisions day-by-day, not year-by-year. I’ve got a fast prophetic clock. The markets are a fantastic training ground for this purpose. Money gets our attention, and the markets give us incredibly fast feedback. If you let it, the learning curve can be very fast. Unlike a lot of prophetic information, market based information is pointed and real-time. The prophetic trader is listening, acting, and adapting to prophetic information on a day-by-day basis. Prophetic skills are honed in a prophetically saturated, fast paced, and decision intense setting. Most of my prophetic information comes by dreams and visions, so this Handbook is oriented toward that revelatory realm. As such, the Handbook comes with a Glossary to help get you started. The Glossary is just a beginning. The Lord will give you a personal language as your prophetic time progresses with Him. I have many examples of dreams and prophetic trades in the Handbook. The dreams are as I wrote them except for minor editing, and abridging of personal information. I’m not back testing the revelation to price charts, rather I’m giving it to you as it felt to me in real-time. I will also include examples of my mistakes, because we are all fallible. Virtually all of the trades in the Handbook have witnesses to their veracity. It has been stated by many that Joseph’s are arising. I agree. Their authority will cover many different spheres. One of them is in the sphere of prophetic trading. It is my desire to help those with this calling to get started, without the confusion and losses I had to suffer to discover His prophetic trading methods and language. 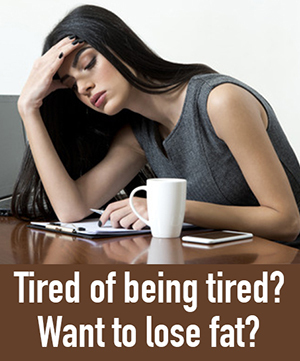 Click to download this free 295 page book. Jim Reeve is Professor Emeritus of the University of Tennessee, College of Business Administration. He is the author of articles and textbooks in finance and accounting. Eight years ago the Lord invited him to an “adventure” that would require leaving the university. He did, and so began his entrance into the Holy Spirit school of prophetic trading. 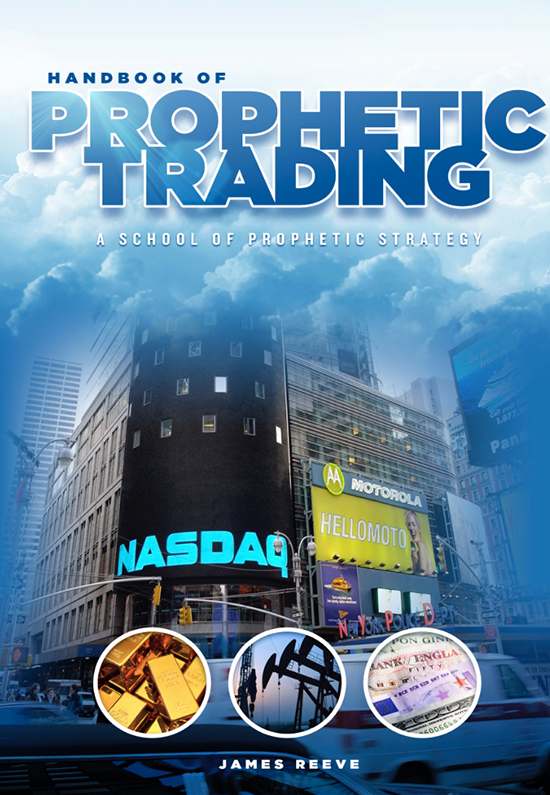 The Handbook of Prophetic Trading is a culmination of the lessons learned in that school. He presently works to apply prophetic trading principles in cooperative team-based settings. It is his desire to see the anointing expand, and teams to multiply in preparation for the end times. I have never owned a stock in my life and doubtful that I ever will. My strategy for divine provision centers upon living a life God can bless, and following the principles of right and wrong we find in the teachings of our Lord, and the rest of his Holy Word. Having said that I want to greatly commend you for making your book of prophetic financial strategies available for free to those who move in that arena. It is truly a sign of good fruit on a good tree.I am so tired of those who use the revelations given by God as a means to fleece the flock. We have even had ‘prophets’ come through our area who would give a ‘special word’ over you for a hefty donation. I would much rather be found standing in your shoes than theirs on Judgment Day! Your generosity may well prove to be a greater means of attaining God’s provision than the strategies themselves, and that is my prayer for you brother in Jesus name. Jim, the first two chapters are very timely in my life. I’ve been walking through Egypt and Wilderness at a job – not trading related, but business related. I love the way you categorized this. I also think your approach is not only useful for trading but is a great guide in ministry/other life circumstances. Thank you for publishing this, and thank you for NOT publishing a ‘God wants to zap your rich’ book. This is the opposite – about getting rid of what I want and wanting what God wants, walking w Him in daily relationship. Bravo – I look forward to working my way through it. nesaranews.blogspot.com and operationdisclosure.blogspot.com Both sites refer to a Global Currency Reset and New US Republic that was implemented today. People MAY begin to see the results of this implementation tomorrow. Some of the info on the sites is REALLY strange. But other info is HIGHLY believable. Guess we’ll find out if banks open tomorrow or not. Also, http://www.downdetector.com search “EBT.” According to the comments, the majority of people on benefits around the country haven’t gotten theirs that were due by today. How long till civil unrest, protests and rioting begins? Ken, is nesaranews reliable source ? Honestly Ben, I don’t know. It is interesting reading, though. Thank you Jim!!! I know you were waiting on Gods timing to release this to the body and I believe with you that this is the appropriate time! You are an anointed teacher and educator…. I attended end The University of Tennessee in the 80s and was actually in Knoxville yesterday. What a small world…. I have been praying for God to give me the resources to do what I believe He is calling me to at this season of my life. Your book will help release the power of heaven to those God has chosen to be in the markets at this time of His harvest. Between you, Phanuel, JM, John Smith and so many others, we should see a clear guideline of what we can do and how to do it at just the right time that God reveals, without speculation. May God continue to bless you and all of us in the Z3 family as we press in to obey what strategy God is giving us to fulfill our density! Good morning Jim. Do you have hard copies of this yet or just the downloaded version? Charles. Download right now. I’m not sure I have permission for a wider distribution than Z3 right now. I’ll need the Lord to help me see if a more Amazon route is appropriate, including hardcopies (they are easier to read). This is not for everybody. Only now does it seem right for this very limited distribution. JR.
Wow, this book is amazing. Just started reading it today and can’t describe in words how much sense it makes to me, I’ve had it downloaded for quite some time but today I finally decided to dig into it. To say I’ve had a light bulb moment would be an understatement. Thank you Jim and God bless. JR so grateful for this. Thanks for going out ahead of us all. The forerunners always pay the highest price. Today I had the opportunity to sit quietly and begin reading your book and It was not even close to what I was expecting it to be. Maybe it was my initial personal bias with the word, “handbook”, but I wrongfully assumed it would be a sort of, “Cliff’s Notes” format of symbols, metaphors…etc….that we could memorize and pick out in our future dreams to maybe help us understand them better. I could not have been more wrong! While it includes the aforementioned symbols, metaphors and such, it was the learning progression and “real” life lesson format that made a huge impact on me. I was able to connect with not only the concepts but the intent behind them. You definitely have a, “teacher’s” gifting. I’m looking forward to studying this book much more in the coming weeks and also successfully utilizing the information you shared. Congratulations on completing the first edition….may you continue to receive revelation and accolades forcing a sequel! Thank you for being faithful by writing this and even more thanks for sharing it! Thanks v much Jim. I’ll share how it’s going/ what else comes up – v grateful to a have your guidance. I see how it’s clearly a heart/ character thing. I’ve asked for revelation and sense they may be forex numbers. At the moment I seem to see numbers which require some interpretation/ confirmation, so 01458 was actually GBPUSD at 1.4580 just before Brexit, confirmed by a zerohedge article minutes later about cable being broken at 1.1475). Maybe price points on James’ USDCHF trade? But I also googled the numbers and most of the hits are for the Ford pick up truck, in three variants, all of which look very “beefy”/ macho [=bullish]. Phanuel has recently had INDICES JULY/ AUG.
Maybe FTSE 100 (there isn’t a 150), FTSE 250, FTSE 350 (not well known) will all be bullish (seems unlikely!)? I’m still asking for discernment. Jim, there have been many moments where I would break out into a big smile as I would read your dreams/interpretations discussing cats and stairs and boats and trees! It is like another Holy Spirit language, but in pictures! Thank you for sharing your gift with others and explaining how it works…..wow!